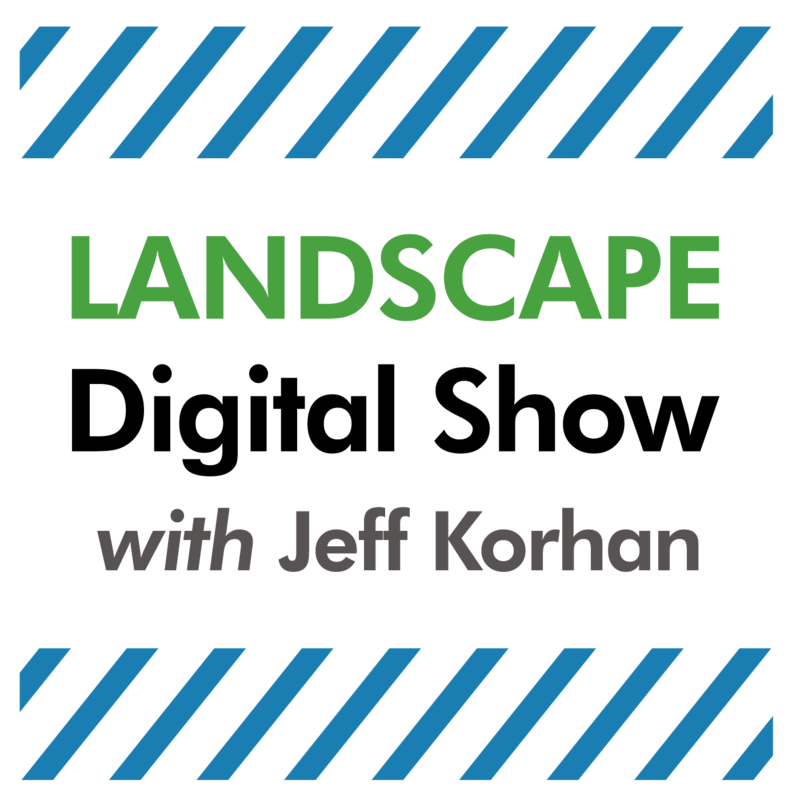 Episode 80 of Landscape Digital Show reveals how to build meaningful customer relationships and transformative experiences. 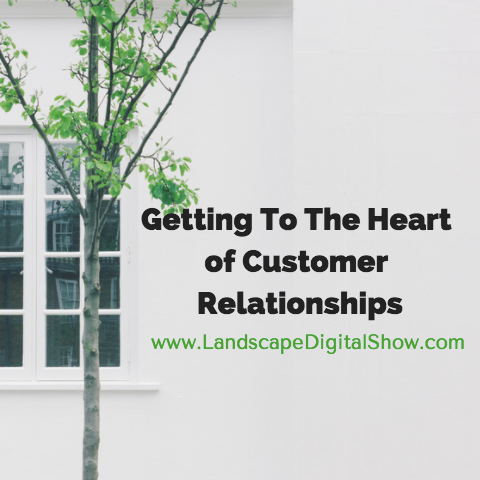 Getting to the heart of customer relationships starts with understanding customers and then ultimately discovering what really makes them tick. It requires listening and having consistently meaningful conversations. Not much of this may be new to you, but ask yourself if you need to hear it again? We all do. We’re human beings and that’s what makes customer relationships such a slippery slope and an amazing opportunity at the same time. Every day we need to be thinking about what we can and should be doing next for our customers because somebody else just may we waiting to take our place. And they may be smarter, faster, younger and tech-savvy, or more experienced and wiser. Most of us have been in business for a while and the one thing that is on our side is the skills we have developed over years of serving customers, making them happy, occasionally letting them down, and yes, sometimes even irritating them. Everyone eventually makes a mistake, it’s part of life and that’s why it’s vital to get so close to the customer that they not only know, like, and trust but love us so much that they give us the opportunity to make things right. Getting and never squandering the opportunity to serve and make things right in my mind is what it means to truly get to the heart of customer relationships. Here’s my model for making it happen. Let’s break down these 3 pillars or principles because they are the foundation of relationship selling, that process of working with customers to ensure they not only get what they need and want but ideally more than they expected. That is the goal in my mind – taking people to a better place than they had imagined was even possible. It starts with being personal because no matter if your business is B2B or B2C you are working with people. That fact should guide your efforts in so many ways. It should give you clues about personalizing your messaging so that your customers feel that you have customized everything just for them. The trick is designing a customer experience for your ideal customers that also adapts to each and every one of them. That can be a monster undertaking, but the payoff is equally massive. Steve Jobs said this when confronted by an audience member that challenged him on a product release that some thought was not ready for the market. Your approach should ideally be a collaborative process that brings together everything the customer knows, fears, and aspires to achieve by tapping into your years of business experience and the expertise and wisdom that you have acquired along the way. Now, this is where things get a little tricky. 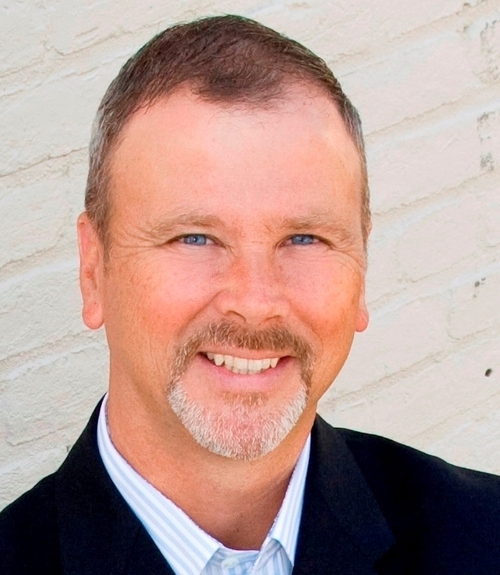 How does a business organize its expertise and experience? I believe the most reliable way is with stories that capture people’s imagination and affect change. Stories can be transformative, and isn’t that what we are trying to do for our customers with the work that we do? I’m hoping to get you to think bigger, to imagine your customers’ needs at a higher level than just the work they hired you to do. What do they want out of their lives, to be happier, fulfilled, accomplished, safe, secure, confident? Whatever that is it admittedly is hard to nail down, but there are ways. That said, for all of these methods to work everything must be written down. If you cannot commit the value of the experience your business delivers to its customers to writing then you do not know it with sufficient clarity. An excellent starting point is writing buyer personas to create a laser focus on who is being served, and how, and why and so on. Once that ideal buyer persona is created it gives clues to the buyer’s journey, including what those buyers are experiencing at an emotional level. That is, what he or she is thinking, seeing, feeling and doing. I know this may seem a little touchy-feely and it is, but there is a reason for that. By starting with the feelings you have a much better handle on what to do at a practical level to make that transformation happen. For example, at some point, a contract has to be signed. When should that happen, where should it happen, and what do you want the buyer to feel when it does? It’s essential for every business to understand what’s going on when deals are made with people because they are investing in a relationship with your business. Some are putting their jobs on the line. In other words, just as you are taking risks, so are they. If the buyer’s journey is the ideal or big goal, then the machinery that predictably makes it a reality is everything that guides that customer experience, including marketing, sales, production, and service. And the fuel that drives that machinery is the stories that give it meaning and purpose. The perfect customer experience is 100% purposeful. There should be a reason for everything and it should all work together perfectly, which of course it doesn’t because people are people. Most important is trying to make it work (as Steve Jobs noted) because that’s how you remove buying obstacles by answering questions, solving problems, and hopefully inspiring your customers to work with you. When you start seeing the world through the lens of customer relationships it expands and grows. That’s what makes relationships the holy grail of business growth. Get close to your customers. Write everything down and persevere to make it all better while respecting the 3 pillars of personalization, collaboration, and community. If you can do that you’ll find everything falling into place soon enough, and most likely long before your competitors. The call to action for this episode is making the commitment to getting to the heart of customer relationships by designing your process — and committing it to writing — for understanding and then ultimately discovering what really makes them tick. If you take the time to do this now you’ll have a roadmap for making sustainable growth in 2018 and beyond!